“You deserve it.” “Do what’s right for you.” “Follow your heart.” We live in a “me” centered world and everything around us tells us that’s okay. Culture even celebrates those who are out for themselves and tries to convince us that we should all do the same. Pride says, “Look at me! Look at me!” but humility says, “Look at God!” Pride manifests itself in subtle ways in our lives and can quietly destroy our relationship with God and others. Only when we have the right view of who God is and who we are can we learn to be truly humble. This Week’s Finish Line: Jesus is the Perfect Example of Humility! In Philippians 2:3-11 we are reminded of the most beautiful example of humility. Christ, one with God and king of everything, humbled Himself and came to earth as a man. He left behind His glory and willingly lived a life of suffering, rejection and pain. In obedience to the Father He chose to die the most painful and humiliating way ever devised by man. In His humility on the cross, He made a way for us to have a relationship with Him once again and brought glory to God. One day every knee will bow to our humble king and everyone will confess He is Lord. In humility, we need to recognize that we CAN’T follow His example perfectly and ask God to help us. Having the right view of ourselves means we know we are nothing apart from God. Thru God we can be forgiven and He can give us the ability to live lives in humility. What did Jesus choose to do because of His humility? Why was it such a big deal that He came to earth and became a man? How do these verses describe humility? Who do you know that lives like this? How do their lives show humility? How does pride like to hide in your life? When is it hardest for you to be humble? This week our elementary kids went home with this page of verses. Read through the verses together with your kids and decide if it’s talking about pride or humility. Talk with your kids about how pride can sneak it’s way into your daily life. Ask them times when it’s easy for them to become prideful. Share with them examples in your own life. Brainstorm how you can encourage each other to show humility this week. Help your kids come up with fun ways to memorize this month’s memory verse, Philippians 2:3-4. If you’re headed to the pool, write phrases from the memory verse on colored note cards and put them in plastic baggies. Be sure they’re sealed up tight and toss the baggies in the water. Have your kids race to find them and put them in order. You could also do this in the bathroom. If the baggies are wet on the outside, they should stick to the side of your bathtub or shower. Thank God for being our perfect example of humility and how He demonstrated it when He came to earth and was willing to go to the cross for us. Ask Him to help you follow His example and think of others as more important than yourself this week. Next week we will be talking about the truth that those who are humble will be exalted by God. You can take a sneak peak at the story by reading the parable Jesus told in Luke 14:7-14. 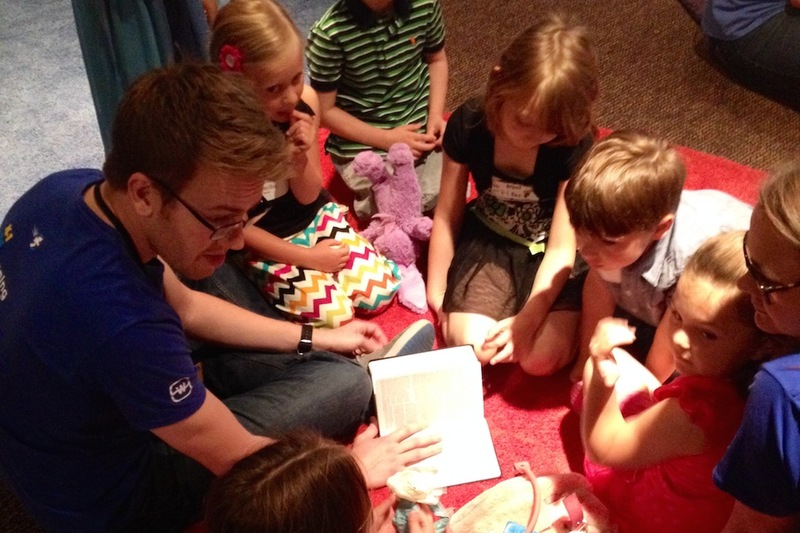 Did you attend Watermark Kids Live? Give us your feedback! How would you like to make your summer significant this year? The post Jesus is Our Perfect Example of Humility appeared first on Watermark Community Church Blog.